In such bright, colorful and welcoming country like India any traveler can spend its time with pleasure – whether it’s a wealthy businessman or a student-backpacker. India is literally full of wonderful sights and interesting places, evenly located throughout the country. Let’s find out where is the best place to go for you. Capital of India is an excellent choice as for lovers of history and culture, as well as for lovers of shopping and urban entertainments. Old city is literally filled with all kinds of monuments of the past and keeps the centuries-old history of Indian culture. At the same time the capital is built up with modern high-rise buildings, fashionable boutiques and numerous entertainment venues, where you can have a lot of fun and spend some money to good use. In one word – in Delhi you can learn India from all sides. Once-obscure sunny corner of India became one of the most popular resorts in the world. 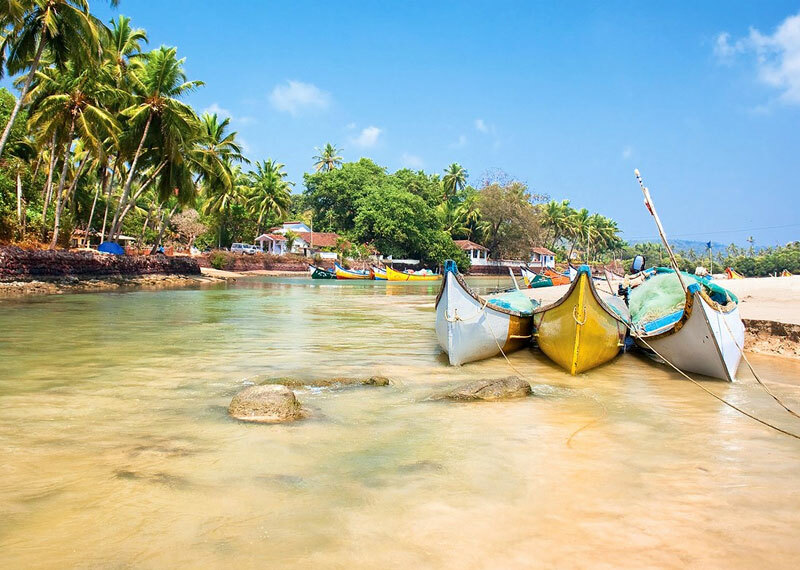 Famous noisy parties, white coastline and clear waters have made Goa a perfect place for beach lovers. Here anyone can find pleasures and entertainments – as mature couples with children, as well as young party animals – Indian prices allow tourists to make really luxury vacations. Mumbai – it is an unique city with a stunning unique coloring. One of the biggest and well-known in India, it got the famous unofficial name – Bollywood – thanks to the popular Indian cinematograph, which was born here. Mumbai – it is a city of rich architectural buildings, luxury exhibitions and major museums, so it will be interesting not only for fans of Indian cinema, but for all tourists without exception.